I was up very early (too early) this morning. Last night our neighbors told us they were moving today and they had two pallets they were leaving. 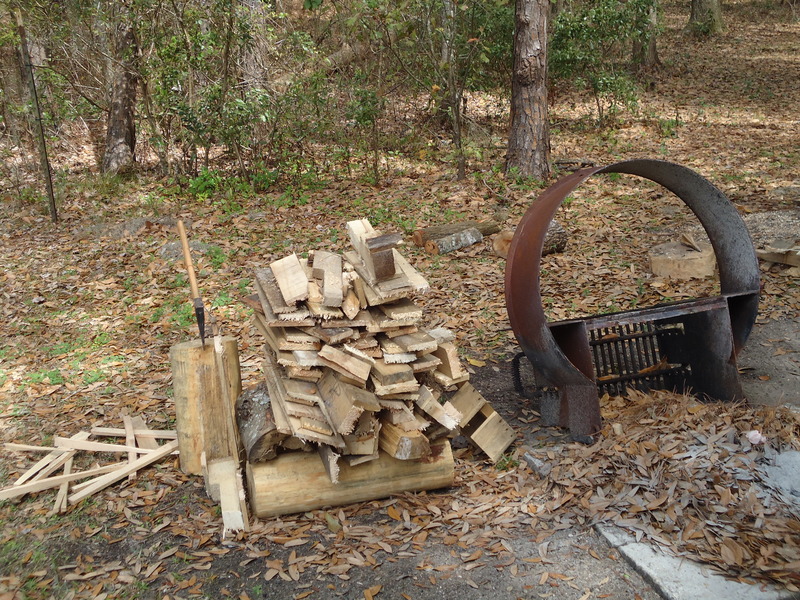 Hum – hardwood pallets – great firewood. They were leaving with the sun (we never do that! ), so I went over there at first light and got the two pallets. I got the saw and axe out and had them all cut and split before Miss Peggy was up! Check one item off my list! 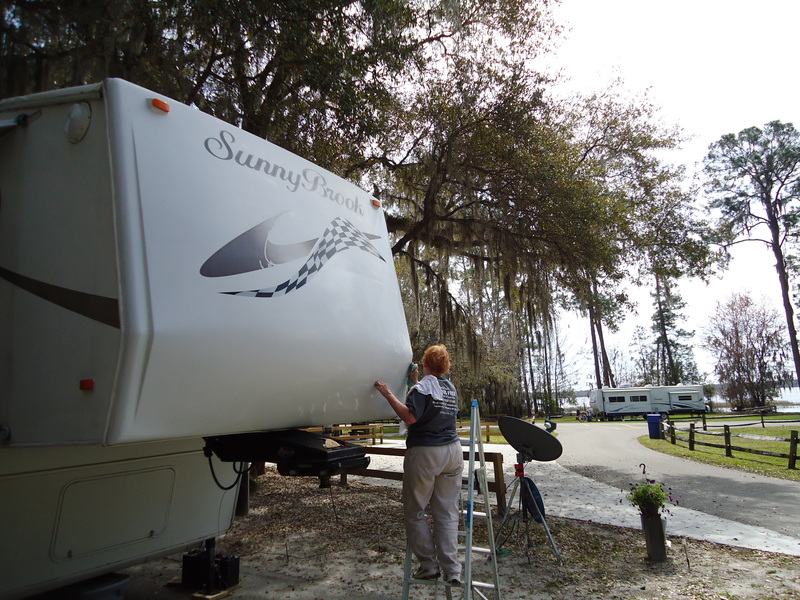 Next I started to paint the hitch of the fifth wheel, Miss Peggy seeing ladders and other items out thought this was a nice day to polish the front cap of the fifth wheel (note – this wasn’t on yesterday’s work list but very needed). So we gathered up all the supplies she needed and got her started. This takes a few hours to do. She is using a product called Gel Gloss which is from our sailing days. As you can see we have to constantly move ladders & trucks, and change clothes! 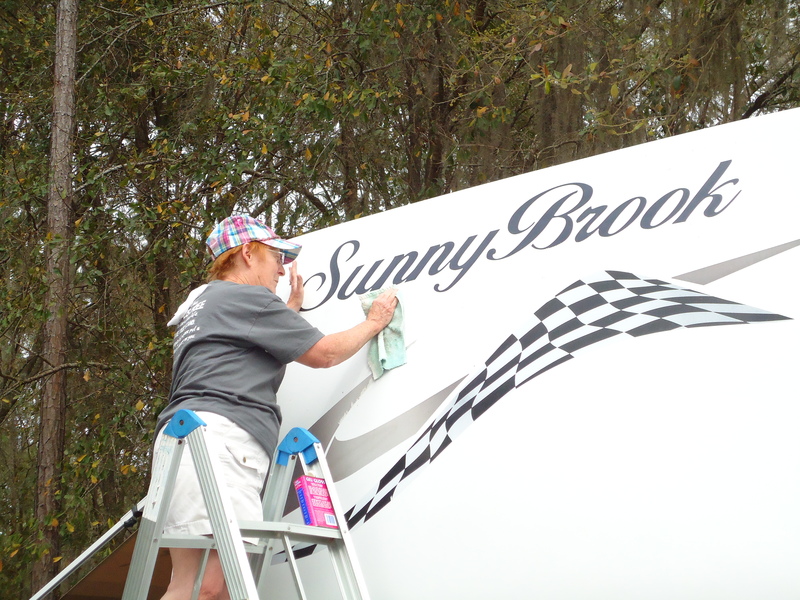 Meanwhile I was working on repainting the hitch. To prepare for all of this we had to get some of our storage tubs out and rearrange items in them as they aren’t in logical order. 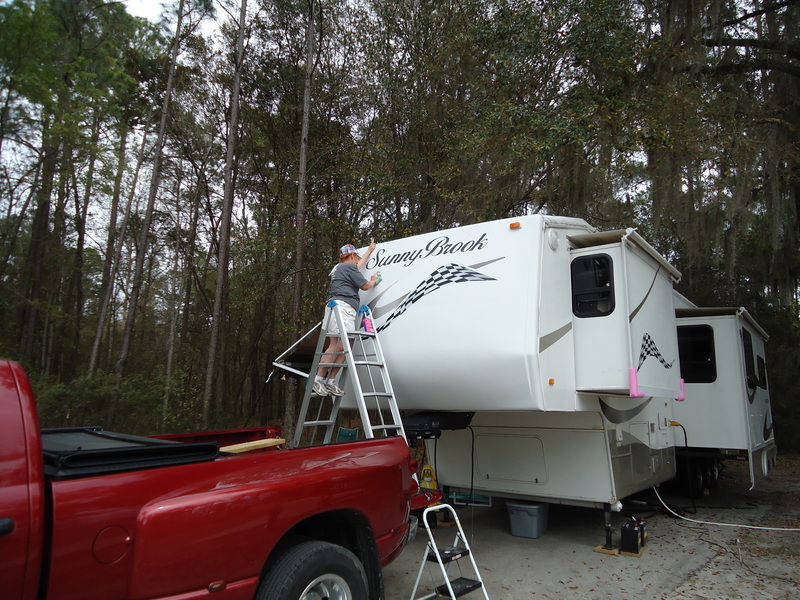 Between moving Miss Peggy’s ladder, scrapping and painting, I worked on the ATV to repair some damage from an accident we had a few years ago. After a few phone calls I found out that the cable we ordered to install the inverter has been sitting at the post office since Friday (the tracking number wasn’t posted on the ship document from the vendor). We left to pick up our General Delivery at 4:30 and I was the last one they let in the door at the Post Office! It was there along with another package – I had to order the complete set of Harry Potter movies. 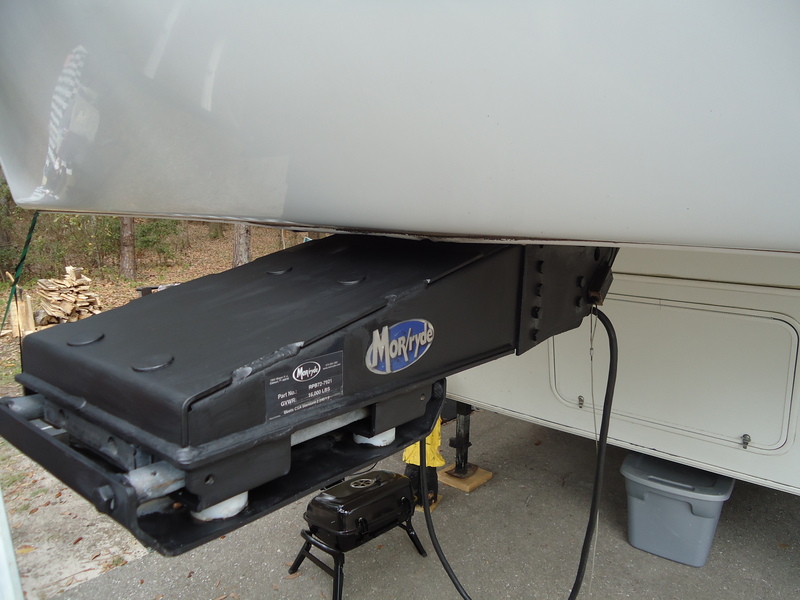 We then went to Camping World and our vent covers were in, from there to Winn-Dixie for groceries. We finally got back to Ocean Pond at 7:15, ate a quick supper, went to check on the single gal who was at the dentist all day today, and then to sit around a campfire with friends until about 9 PM. 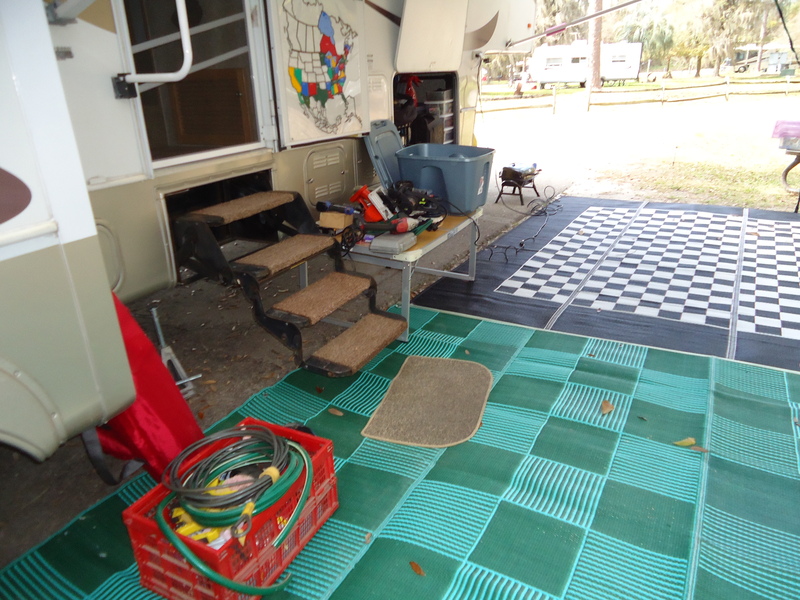 This entry was posted in Uncategorized and tagged boondocking, drycamping, fifth wheel, frugal rv, fulltimer, landyachty, LED lights, remodel rv, RV Budget, RV Finances, RV Taxes, toyhauler, workamp by landyachty. Bookmark the permalink.